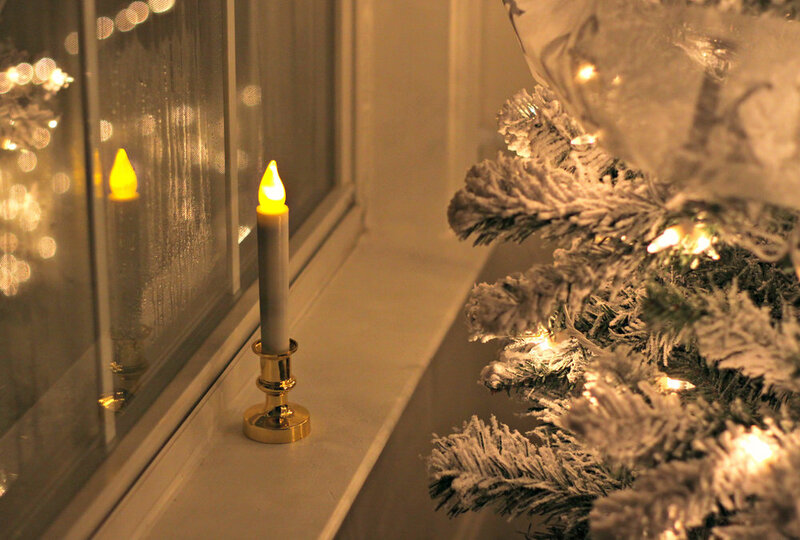 In early December, I set candles on each windowsill of our home. They come on in the evening just as it's getting dark outside. I sit on the sofa in my darkened room and out of the corner of my eye, I see a candle flicker on next to me. I stare at it a moment, and then the light blurs and bends as I take in a breath that's released along with a tear down my cheek. If I'm being honest, 2018 hasn't been the gentlest year. Life and circumstances have brought jabs of heartbreak and a few blows that have knocked the wind out of me. Just when I think I've found my footing, I'm back on my knees. I stepped into December feeling a bit weary and tired, disappointed and sad. God in His wisdom and kindness created us to feel BIG feelings. Emotions are worthy of being felt, but they aren't Truth. They aren't the boss and they aren’t meant to overwhelm us. They are invitations to seek Him. To draw near to Him. To look to Him instead of within ourselves or the world. When the world feels dark and we fall on our knees, we do not land in despair, but at the manger bed. We bow our knee at the cross. Feelings constantly change and swirl, but Jesus does not. He is our steady, soft place to land. So I light up the house with strands of bulbs, inside and out. I strike a match and the flame dances on the wick. I wrap trees in strips of Truth. Reminders of a Light that came wrapped in flesh. Dear ones, whatever you feel today - whether it be heartache or happiness, and everything in between - take heart knowing that you have a Savior who loves you. He never leaves you. He is always close. Draw near and fix your eyes on the Light. He holds you.